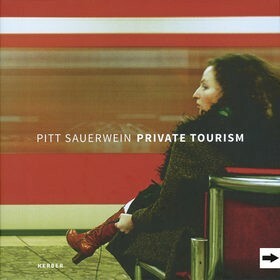 Pitt Sauerwein’s main area of interest is staged photography. Her photographic works record moments from her own absurd everyday reality, portraying herself and her family, relations and friends in private and public settings. In the reenactment, these seemingly randomly captured moments from everyday life are actually the results of precise experimental setups in which the documentary and the staging aspects blend into one another. The delayed-action shutter release reveals that the randomness is staged. This artist book shows selected works from the years 1999 to 2015.